In one of the quickest renewals of the season to date, NBC has ordered a third season of game show Ellen's Game of Games. While down from the inaugural season, the series remains a top performer for NBC, averaging a 1.6 for its first two episodes of the season (not counting the December holiday special), making it the #2-rated Tuesday series, only behind fellow NBC series This Is Us. 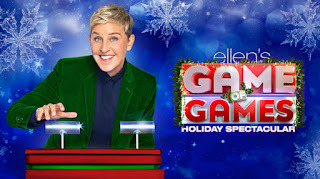 The series is hosted by Ellen DeGeneres and features contestants playing games originated on the host's eponymous daytime talk show in the hopes of winning $100,000. The series is currently airing the first half of its second season, which will run through late February before it takes a few weeks off and returns to finish the season in mid-March. What do you think of this news? Will you be tuning in for season 3? Let us know in the comments below!